Some plants do just fine in acidic oceans | Watts Up With That? 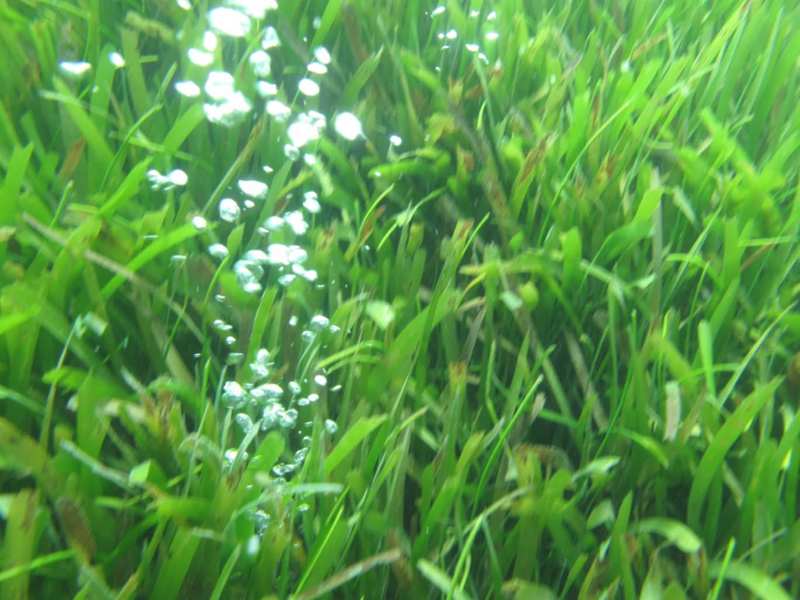 A JCU team led by Dr Catherine Collier studied seagrass growing near underwater volcanic vents in PNG. Carbon dioxide from the vents increases the acidity of nearby water. The researchers found that the more acidic the water was, the more the plant grew. “The increased growth has nothing to do with the acidified water as such, but increased acidification means more carbon, which means the seagrass photosynthesises quicker,” said Dr Collier. Seagrass provides food and habitat to many species and is a significant carbon sink – soaking up 15 percent of the carbon stored in the ocean every year. But pollution and development mean the plants are declining at a rate of seven per cent a year. Dr Collier said every one of the ten varieties of seagrass so far tested had done better in acidified water. But there were still questions over whether other aspects of climate change would adversely affect them. “On the one hand, if acidification increases seagrass growth, they will be able to absorb more carbon from the ocean, which may slow the acidification. On the other hand, acidification is bad for coral, and erosion of the reef and rising sea levels could have detrimental effects on the seagrass meadows it protects,” said Dr Collier. She said more investigation, incorporating other variables in the seagrass environment, needed to be done. October 20, 2015 in Ocean acidification. Well I certainly agree. Just hold the ocean constant while you change one or two variables at a time and before you know it, you’re retired on a posh pension. H.R. You misinterpret the statement. It translates as: Send more money. That was implicit. I was just trying to quantify the amount of money Dr. Collier will need. Holding the ocean constant, for starters, would take a fair chunk of change. And then there are the innumerable variables in ppt, including sunscreen, that would have to be run through. That’s another whumping-large cheque (or check; I’m becoming bi-lingual in English but my spell-check is r-e-s-i-s-t-ing). All in all, just about enough money to get Dr. Collier through to retirement… or the equivalent of the combined GDPs of the bottom 75 countries, whichever is the lesser amount. The effects of long-term exposure to elevated levels of carbon dioxide (CO2) on seagrass communities are still poorly understood. This study investigates the tropical subtidal seagrass communities at three shallow volcanic CO2 vents in Papua New Guinea. Seagrass cover and biomass increased threefold and fivefold, respectively, from control to medium and high pCO2 sites (average pH = 7.9, 7.7, and 7.5, respectively). In other words, not acidic anywhere, just more neutral (less alkaline) than typical seawater. An interesting study marred by rampant alarmist terminology … go figure. That looks like common saw grass, that grow on all the bonefish flats in the Florida Keys. The water is 150 -300 mm deep; maybe 500 mm tops. I haven’t witnessed that many volcanoes in the Florida Keys. When they happen, they do tend to spook the bonefish. Well the tarpon don’t like the volcanoes either, but their water might be more like a meter deep, maybe two in extremes. There is the “26 ft. hole.” that has tarpon in it, but it is way too deep for the grass to grow on the bottom. You can catch all kinds of fish in the 26 foot hole, but watch out; sometimes a lemon shark gets in there. That hole is huge; might be almost an acre, but the surrounds are only a meter or so depth. it’s off the Harbor Channel, in case you want to go and fish in there. That’s turtle grass and bomb craters George…..
What is the PH in this “acid ocean environment”? 6.5? or lower than that? Must be the oceans on Jupiter or somewhere. But we’ve already learned that acidification doesn’t harm coral to any extreme degree and to some varieties, not at all. So in other words, increased levels of carbon in the ocean is anything but terrible. It just occurred to me that perhaps those who are trying to preserve less than resilient coral should transplant sea grass within their habitats. Although that would make a very small difference given the fact that most of the destruction is being inflicted by crown of thorns star fish. I would think that deep oceanic volcanic vents would be SO2, rather than CO2. A whole lot more pH evaporation if it’s SO2. There is not enough CO2 in the world to make the oceans acidic. Do they really mean that the water is actually acidic i.e. on the acid side of neutral, or just less basic i.e. nearer to neutral on the scale? Even if the water near to the vents is actually acidic, how long will this state persist given the mixing that will occur with the surrounding sea water that is not acidic? They aren’t even sure if ocean pH is changing at all. It’s just more of the same ‘alarmism by assertion’. Good to know but THE OCEAN ISN’T ACIDIC!!!!! Heretics have a foundation? Why don’t skeptics have their own foundation? I tried to call a meeting but none of us Anarchists showed up. When they did get together, they couldn’t agree on a leadership structure. Can’t they be found at the Anarcho Syndicalist Commune? As carbonic acid from dissolved CO2 is a very weak acid, it is quite unlikely that the acidified waters around underwater volcanic vents is caused by CO2. These vents also emit many sulfur compounds, including sulfur oxides that form sulfuric acid and sulfurous acid, both of which are much stronger acids than carbonic acid. Where do these scientists get off being so voluntarily stupid about basic chemistry? They want us to believe that carbonated water rules the seas? Carbonic acid only acidifies distilled water. Seawater is a complex buffer that laughs in the face of more CO2. Duh. The principle of metal cations acting as Lewis Acids also likely escapes them, or complicates their study too much so they ignore the metals spewing out of underwater volcanic vents. My man pots and pans! But keep arguing semantics because that’s what’s really important. If these people are chemists they truly have no excuse. But Catherine Collier is not a chemist at all, she is a coastal ecologist. Whatever that means. By the way what is an ocean chemist? A chemical oceanographer is a chemist who studies the chemistry of the ocean. Just like a physical oceanographer studies the physics of the ocean. I’m glad you have no understanding of oceanography though. Whine all you want about the semantics, no one is claiming the ocean will go below pH 7.0 and truly be acidic. Doesn’t change the fact that the pH is clearly and undeniably declining at a rate much faster than compared to geologic time. The oceans can only become acidic if the earth runs out of rocks! OMG! That must be what caused the end of the Stone Age. True enough, oceanic basalts are a major part of the marine pH system. In warmist jargon acidification is any move to lower PH. To them chemically pure water is more acidic than ocean water. This is a losing argument, even on this enlightened website. I’ve been arguing for a long time that the oceans can’t be “acidified” until they are “acid” to begin with. And they aren’t. So until they are, they are being neutralized. But no one on this site seems to get the point. And it is in keeping with the entire history of chemistry, for chrissakes! MfK…which is one of the reasons I left contributing to WUWT. I too, failed in getting others to understand that this is simply not acceptable. Authors (to this site) have even been guilty of it, let alone contributors. Same with the ‘pause’. Incorrect terminology, and shouldn’t be repeated here. His blog. Your choice to leave. Not only warmist, In medicine acidemia means that blood’s pH is lower that 7.35 and alkalemia that blood’s pH is higher that 7.45. Acidosis (metabolic or respiratory) is when your blood’s pH decreases from normal, which is not 7.0. And. to tell you the truth, I prefer to use the term acidification to report any move to lower pH. Suppose you have done a biochemical experiment where you have worked with an enzime in a water solution at pH =7.4. First you prepared an aqueous solution, you measure the pH and it is 8.0. then you adjust it to 7.4 by adding acid. I would be fine for me if you just write down “acidify to pH 7.35 with 0.1M H3PO4” in your report. It is a bit like if you have a chunk of ice at -20 ºC and you you need it to be at -10 ºC. You can say you warm it to -10 ºC. Somebody may argue that still it is not warm because it is below freezing point, but still, you have warmed it. Well, urederra, that is some right fine sophistry you spun for yourself. I especially like the part where you try to draw equivalence between the word ” acidification” and the word “warmer “. A nice touch, as sophistry goes. Ditto your lame attempt to say that since the medical term acidosis means any pH below what is considered normal, then therefore acidification means any lowering of pH. Acidification is not thusly defined, not in any medical dictionary, not in any regular dictionary, and not to any chemist who is not a raving warmista. People use incorrect langauge as part of their professional or trade vernacular all the time, but this does not change the definition of the words. Warmistas use the word in an inappropriate context either out of sheer ignorance or in a deliberate attempt to sow fear in the minds of the uninformed…because words like acid and acidification sound awful and scary to laypersons. Same as like when they write articles that contain nothing but good news, but then toss in some made up alarmism in the conclusion to placate their brethren of the same panicky ilk. Oceans not and never will be acidic, cannot in fact become acidic, and carbon dioxide is and always has been not just good for plants and coral, but 100% necessary for their survival…and more is better. Wonder what it must be like to be a professional liar? A quick search renders papers with the word acidification in the title that do not belong to the climate/ocean field. So, if I have an aqueous solution at pH 6.0 and I add acid until the solution has a pH 4.0, I would say I am acidifying the solution. Same story, If I have an aqueous solution at pH = 10.0 and I add acid until the solution is 8.0., I still would say I am acidifying the solution. How would you call it? I am making the solution less basic? I don’t like circumlocutious. Not saying you are one. But you should not repeat the lies of others, IMO, or risk the ire of those who dislike such. Yes, plenty of papers use this misleading terminology…that is the whole point of what I and many others are saying. You will not find it it any dictionary definition though. I am guessing you read my post accurately, and upon not finding one single dictionary definition that backed up what you stated, then decided to quote a bunch of papers that misuse the term. I would also say if you add acid to an already acidic solution, and describe what you did as acidification, you are using langauge in a very confusing manner. An aqueous solution is either basic or acidic. This is by definition of the words. Acidification refers to a chance of state. Words like warmer and colder are not equivalent, linguistically speaking. It would be more like if you had some ice at -150° C, and cooled it to -175°, and insisted on calling that process freezing. It was already frozen. Frozen is not a relative term…it describes a state of matter. Misuse words if you like. Do not expect people who wish to keep discussions accurate and use correct terminology to agree. Sorry, chance of state should be change of state. When the temperature goes from -20F to -10F, do you say it’s getting warmer, or that it’s getting less cold? You should work for Microsoft. ‘Obvious statement made – adds nothing to the discussion’. Menicholas, you are someone after my own heart. Unfortunately, I can’t stay here to back up what you correctly say. Keep on banging the point home, but I’m afraid it is like banging your head against a wall. I hear you, and thank you Big Jim. Luckily, I have a very hard head. I’m a chemist by profession, and have been objecting to ocean “acidification” consistently here on WUWT. So has Willis Eschenbach, and he’s not a chemist at all. Just astute. So, others are being ignored as well. On the other hand, I’ve published here and elsewhere (1 MB pdf) that the systematic error in surface air temperature measurements is ignored and so large that the 20th century record is no better than ±0.5 C. And nevertheless people here continuously argue over monthly changes of 0.01 C. Warmest ever(!) in a record that means almost nothing. I’ve also published here and here showing that climate model air temperature projections are physically meaningless (Willis Eschenbach has shown similar findings). But arguments still rage about whether meaningless non-predictive GCM projections conform to reality or not. So, don’t get upset that your insights are ignored. It’s SOP for the duration. The argument is everything. Resolution is boredom. You may have to buy an updated dictionary, then. Many discoveries have been made since Lavoisier (He only knew about oxoacids). As science advances, and new discoveries are made, we need to redefine some of these concepts and add some extra that allow us to better describe the new findings. Lewis acids or superacids are just a couple of examples. We have pHmeters now, Blood’s pH can be measured with at least one significant figure after the decimal point. Forget your litmus paper that only tells you whether the solution is acid or basic, and it does not even work on non aqueous solutions. Sodium benzoate can be titrated on glacial acetic acid. In this book, first edited on 1937, the author already uses the word acidification and describes titrations and acidifications of ethanolic solutions. You are confusing change of state with change of temperature. Two different processes. Both require a transfer of energy, but in change of state the energy is used to change the state of the matter, freezing in this case, whereas in the other the energy transfer causes a change of temperature, cooling. Two processes, two names. On the other hand, when you have a water solution at pH 9.0, It only means that the concentration of protons (or hydronium, if you like) is 1.0 nanomol. If you increase the concentration of protons to 10.0 nanomol you will get a pH = 8.0, and if you increase it to 10.0 micromol then the pH would be 5.0. Same happens if the solution is ethanolic or if the solvent is acetic acid or trifluoroethanol. You can compare them and say which one is more acidic by looking at their proton concentrations. Using the verb acidify only to say that the solution crosses the pH 7 barrier doesn’t help to describe tritations. Willis’ point is a complete different one. You can measure the pH in an Erlenmeyer because the system is in equilibrium (after stirring a little bit, anybody who has tritated with phenolphthalein knows that). Earth oceans are not in equilibrium, so it is pointless to talk about the pH of a system that is not in equilibrium. Same happens with temperature, as you say. Earth temperature is not in equilibrium either, You can measure the temperature in different places and calculate an average, that does not give you Earth temperature either. And if you don’t like the average, drop some places and select new ones, until you get the desired temperature, that is what CRU is doing. As for pH in the ocean, all you can do is to test the pH in a particular place, see if it changes through time and see how the different species respond to the pH change. I am not surprised that plants, terrestrial or oceanic grow more at higher CO2 concentrations. My whole point is that if the pH of that particular place decreases you can say use the word acidification, regardless if it crosses the pH 7 barrier. Exactly! The oceans of the world sit in basaltic basins. Becoming pH < 7.0 (averaged). No way, no how. And lets not forget the billions of tons of living/dying organics that are consuming, metabolizing and excreting all sorts of interesting things that throw those simple minded "acidifying ocean" chemical formulas out the window! PNG is not the only place for this type of thing. Out in the West Indies, the island of Dominica is quite active volcanically. On the southwest shore there is a rock beach known as Champagne. CO2 vents in dozens of tiny bubble streams right at the shoreline, and then larger bubble streams in deeper water. One can swim around “the big rock on the right” to find the main vent. CO2 vents up in several long shimmering curtains of bubbles perhaps 50 ft. long each. The sight is absolutely breathtaking. Back on the beach, we can study the effects of the heavily CO2 laden, acidified water on the local shellfish. The critters seem to be some sort of periwinkle. As you can see they are thriving in great abundance. The much touted “acidified” seawater does not seem to impair their shell forming ability at all. The suntan lotion container provides some scale. I did not have a ruler with me at the time. But there is still a mystery in this oceanic and ecology research. Why are these critical environments, which require such intensive study, located in fantastic tropical vacation areas? And why in winter, all the time. More study of this phenomena is absolutely required. TinyPic is another mystery sometimes. Lets try another. I thought the correct term to be “enlarge”. Embiggen must be from the US. At this rate, signs will soon have to be posted on our major tourist beaches saying, “Do not wade in ocean — lower limbs may dissolve within seconds”. Settled. Please return any unspent grant money. Translation: Grant money! We needs it!! Translation: We need more diving trips to tropical islands to test grass. If you want to test grass, the last thing you should do is go underwater. Wow – nearly four years ago. E.g. bubbles in sea grass. I remember seeing several other reports of things which survive or are improved by more carbon in the water, but it’s hard to find them when they’re lost among all the scary stories. It would be nice for WUWT to add a Category of something like “ocean acidification improvement” for reports such as that. But pollution and development mean the plants are declining at a rate of seven per cent a year. So in 45 years the ocean plants will be down to 5% ? That is, the medium pCO2, with pH 7.7, reproduces the very worst IPCC scenario for 2100, and sea grass growth was three-fold increased. What a disaster. For the IPCC. Also note that none of the three conditions was actually acidic. They were all of reduced basicity (alkalinity). It would probably take at least a quadrupling (1 MB pdf) of current atmospheric CO2 levels to get to surface pH = 7.5. Take a look at the pictures in the Supplementary Information. MS Word, docx file, but it’s free of charge. The top shows pictures of the control and the CO2 enriched sea grass locales. The difference is stunning. Control is ho-hum. CO2 enriched is serious hyper-excited green-riot sea-grass party-time. I think owners of tropical fish keep the water in the tank rich in CO2, so plants, fish and other creatures seem to thrive in an environment rich in CO2. I believe that environment is still alkaline. However I suspect that every media within reason, has a whole spectrum of life forms waiting in the wings. Whrn Dr Catherine’s team got to the word acidification I crossed JCU off the list of credible universities. You can’t teach mugs. It is beginning to look more and more likely that increased levels of carbon dioxide in the ocean, and in the air is really excellent for the welfare of all living things. Who would have guessed that CAGW Alarmism would have been able transform itself so far. It is stunning…they grasp at straws and never manage to get any one single thing correct. It is not easy to always be right…so by logical extension, one might presume it is hard to always be wrong. And yet here we are. Welly well well! 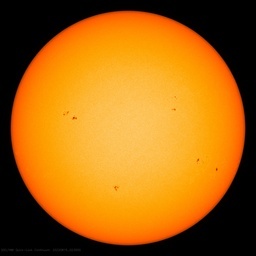 My current favorite is that the climate stopped changing almost 19 years ago…11 more years, and you have a time period that defines what the word climate means…and nothing changes…for maybe the first time ever! Second favorite is how the ice in Antarctica was expanding, and doing so fastest in the Weddell Sea, the exact spot that Hansen said would melt the fastest. Which played hell with their insistence that Arctic melting meant the whole Earth was warming and could not be stopped. So then they came up with seventeen reasons why warming causes a melting Arctic, and more ice in the Antarctic. Then when the shrill meter got to maximum volume regarding how the Arctic would soon be ice free, nothing could stop it, and it was a one way death spiral of decreasing albedo…the Arctic promptly began refreezing rapidly! And after the Antarctic exceptions reached critical mass this past spring…the ice there stopped increasing! Still more rubbish about coral reefs “drowning” in rising sea levels. Coral loves rising sea levels, it gets more volume to grow into. It is falling sea levels that cause problems like death. Obviously Cook University do not understand the processes that coral islands exist on. 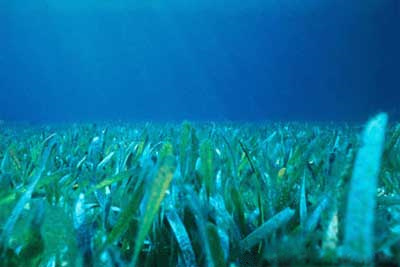 Collier said every one of the ten varieties of seagrass so far tested had done better in acidified water. But there were still questions over whether other aspects of climate change would adversely affect them. We know that this is not good news, and it will lead to a cut in our grants. But we are doing our very best to find much better news – that CO2 is really evil – and will report on this shortly (manufacture this fake data as soon as we can). So please don’t cut our grant just yet. An information-poor report of the paper. What pH changes are we talking about? Nigh-on useless comment without some numbers. Reducing pH from 11 to 10.9 (transforming a nasty caustic solution into a nasty caustic solution) is acidification. lowering ph from any value to any lower value is acidification. acidification is state change not an end point. one could just as easily call if dealkalinisation. Warmists are in furious backpedal mode now, toning down the alarmism in a desperate effort to appear “reasonable” so they can keep the cAGW gravy train chugging along for at least a little while longer. It’s just more pathetic pseudoscientific grant-grubbing. Much of the biosphere can be divided into organisms that consume CO2 and those that produce CO2. Those that produce CO2 have an enormously higher CO2 concentration inside the organism than outside, so they don’t care and don’t need to care. The organisms that consume CO2 mostly can’t get enough of it. This is true in the oceans and on land. pH effects are minor, “CO2 acidification” is not a problem in fresh water lakes which should, in principle, be more sensitive. It’s all very well using ‘acidified water’ but the sea isn’t acid and isn’t becoming acid either so how is this of any relevance? Has anyone actually proven that the tiny decrease in alkalinity associated with higher CO2 levels is actually bad for coral? Or is it just another one of those things that alarmists assume must be true. There is no convincing evidence that additional CO2 or slightly lower pH is at all harmful to coral in any way. In fact, the additional CO2 probably makes them grow much faster, since it feeds the photosynthesizing organisms that they are symbiotic with, and increases the availability of the carbonate that they use to make their shells. This is nothing but another invented ” fact”, oft repeated but never demonstrated to have any merit…like that warmer worldwide temps are by definition harmful, or that melting ice in the polar regions represents a catastrophe for humans …or any other creatures. I would love to see a more accurately worded statement such as ” But there were still questions over whether other aspects of climate variability would affect them either adversely or favorably” . But alas, funding would never come. The report was trying to show that CO2 from the vents – they were trying to portray these high levels as a view of the future – was bad for every living thing nearby. The areas were bad for fish and some corals. I think they were disappointed that the seagrasses thrived. What the authors chose to ignore was that the volcanic vents also emit H2S which is toxic to most fauna – it’s nothing to do with the small pH change involved or CO2. One can show this to be so if one does the acid/base calculations. They show that CO2 levels will never be able to lower the pH sufficiently to cause any problems with shells, corals, etc. I learned long ago, that nothing is as it seems. My dad, The Rev. H. Benton Ellis, used to say about USDA zone map, “Some plants are like people, where one will die at freezing, another will be fine.” Of the same species. We lived in FL at the time and dad would dabble back into Biochem to help out some growers. But kind of hints at the whole Darrin Rocks in the variability of species. Same here. Expect the unexpected. My personal example with variability and “you may not be right about how sensitive they are” was the fish “high hats” (Equetus acuminatus). Said to be very intolerant of water change including salinity at the time. First time I saw one (and caught them) was off E. Heron Blvd, Palm Beach Gardens. Yep, in an inlet. PS, If you are using this post to go running off to there with snorkel and fins in hand, this was A) 30 years ago, B) you might be in the boat channel, C) there was a high white spot infestation there, D) ergo, there are a lot of cleaner shrimp in the area too.